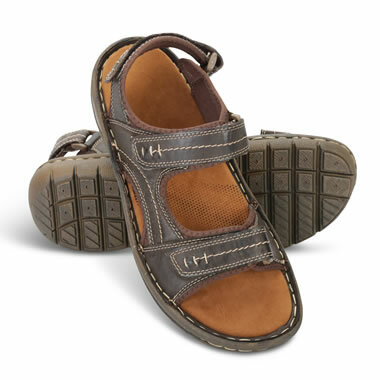 These are the gentleman’s sandals engineered with hook-and-look straps for a fit that rivals those of hand-made footwear. Straps at the forefoot, instep and heel can be individually and precisely adjusted to keep the foot secure without pinching or chafing. The foam-padded footbed with a microfiber sock lining is removable to accommodate custom orthotics. The durable, water-resistant outsole is lightweight, shock-resistant, and provides a sure grip on trails and uneven pavement. Nubuck leather uppers with neoprene lining. Coffee Bean. Men’s whole sizes 8-13. 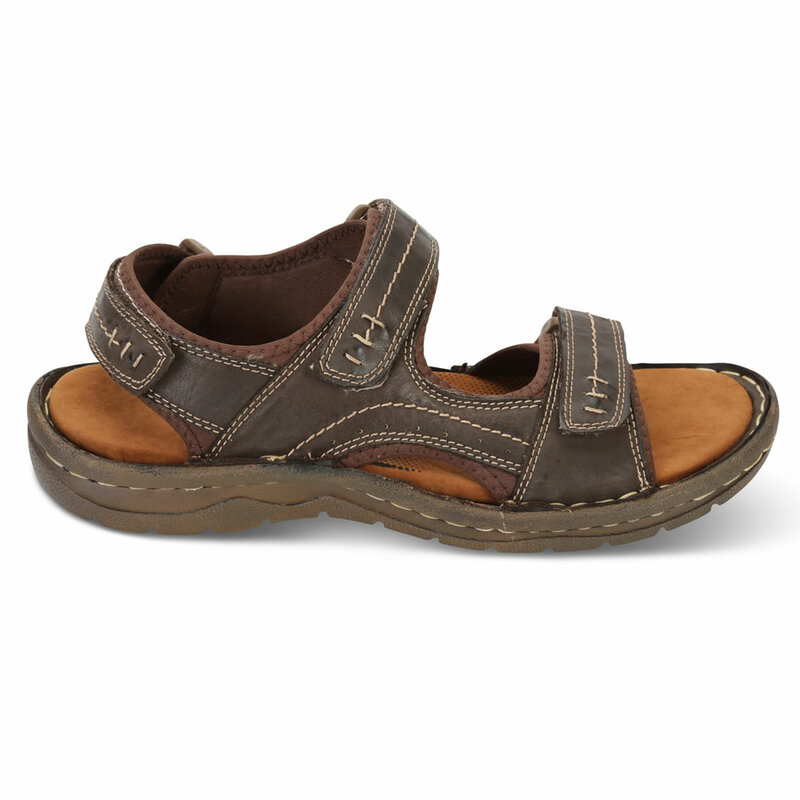 The Gentleman's Perfect Fit Comfort Sandals come with The Hammacher Schlemmer Lifetime Guarantee. Items that we sell are guaranteed for their normal life under standard non-commercial use.